In honey markets worldwide, there will always be honey that is marketed as something it’s not. So, obtaining a ‘Certificate of Licence’ is crucial to ensuring the authenticity of honey for consumers. 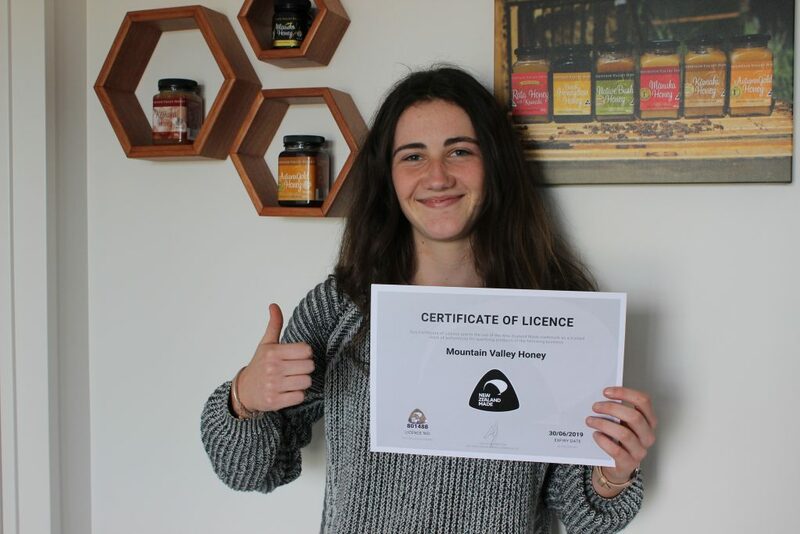 Mountain Valley Honey have just received ours through a membership programme allowing the use of the known and trusted ‘New Zealand Made’ trademark. The ‘New Zealand Made’ trademark is a brand to showcase New Zealand’s fabulous products, produced right here in Aotearoa. For Mountain Valley Honey co-owner, Nicky Elwood, it’s a fantastic way to promote and have pride in New Zealand and the amazing products it grows and produces. Being able to use ‘New Zealand Made’ on a product can be helpful when making purchase choices in stores and online.